Tallahassee author Jeff VanderMeer has been no stranger to the Carolinas, both through his work teaching at the SharedWorlds teen writing summer camp at Wofford College and quite a few events over the years. 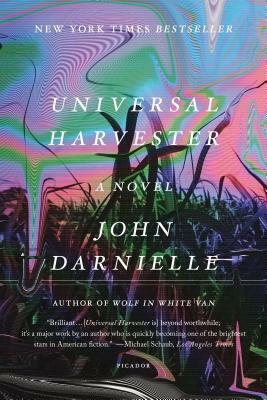 We’re thrilled to be welcoming him back again this year as part of his Southern Reach Summer Tour which includes 4 stops in the Carolinas in just over a week, starting and ending with Wednesday events (July 9th and 16th) at Hub City in Spartanburg, SC around readings on Thursday (July 10th) at Raleigh’s Quail Ridge Books at 7:30 pm and Saturday (July 12th) at Asheville’s Malaprop’s Bookstore at 7 pm. 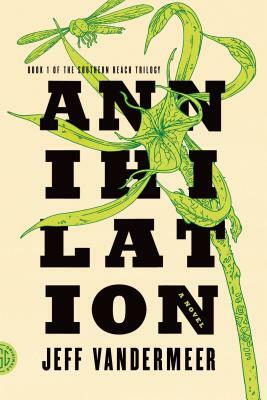 Here, VanderMeer is interviewed by Durham author Mur Lafferty about The Southern Reach series and Shared Worlds; we find out about some giveaways as well as get his thoughts about possible expansions to the trilogy, which will be completed with Acceptance in September. ML: The Southern Reach trilogy is unlike other books in so many ways, one of the more mundane yet rare things about it is its release schedule. We’re used to publishing’s glacial pace- why three books within a year? JV: The publisher, FSG, suggested this schedule—they’re very proactive and inventive in how they think about marketing books. Their thought was that three books in one year, in inexpensive trade paperback editions, could create a lot of interest for this kind of series. And then the fact it was FSG meant I felt free to do what I usually like to do with a series: write three very different novels that fit together but don’t follow the usual “rules” for trilogies or for connected books. From my point of view, it was the perfect situation: a perfect plan for the commercial side of things and complete freedom to explore what I wanted to explore, hopefully in a way entertaining for readers. ML: … And how have you handled the pressure of that speed of production? JV: It was a really weird and often exhilarating experience. I’d written the first novel, Annihilation, but then had about 18 months to think about and write the second two novels. That may not seem like long, but because I was doing nothing but writing I actually put more hours into those novels than any of my prior novels—just over a shorter period of time. So they wound up being exactly what I wanted them to be—although FSG was also *incredibly* helpful both at the dev edit phase and then throughout the copyediting process. They let me tweak things up until the last week before sending the books to the printer. I’m so grateful for that. But, yeah, I had to learn new ways of creating distance from the manuscript to see these books clearly and be able to revise, because of the compressed schedule. In some cases, too, that was actually good. I developed some totally new methods of compression in storytelling that I hadn’t used before, due to the nature of the novels. JV: There’s always a question of distance when you’re creating a milieu that’s the real world but maybe not quite the real world—like, if you’re focusing on one part of it or you’re reimagining part of history or creating a secret history. That’s then also part of an equation that includes what kind of story you’re telling. I’m telling psychologically three-dimensional stories in these novels, about characters who are deeply flawed but also people who are trying hard to do the right thing. I’m not writing at the same remove as, say, Kafka, where dream-logic pervades the narrative. But neither am I in Joe Lansdale naturalistic territory, either. I mention Lansdale because I am writing about the South, without ever naming a particular state in the country and using fake names for towns. So I’m somewhere between Kafka and Lansdale in terms of the texture of the prose and the texture of the story. And in that space, some names seem intrusive and wrong and some names don’t. 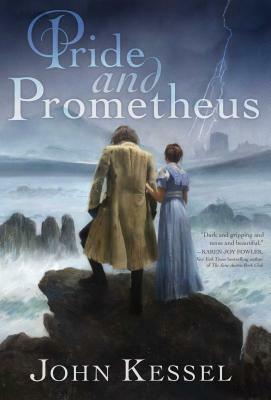 In the first novel, Annihilation, there’s a practical reason why they refer to each other by job function, and then a secondary reason: that in doing so, you focus on the actions and thoughts and interactions of the characters rather than what a name and accompanying physical description tells you, and the characters are kind of subsumed by the landscape, which intensifies the reader’s sense of unease. In Authority, we’re outside of Area X and so we’re more in the “real world” and thus we get many more names. Although I must say that by the time I was writing Authority, the “biologist” was so much “the biologist” that I never do reveal her name. And somehow that feels like keeping a secret the biologist wants me to keep, given how private she is. Every time I tried to name her, the name seemed wrong. ML: Many speculative fiction series often go beyond a trilogy if they’re making money. (Consider the Hitchhiker’s Guide “trilogy” of five books.) Without spoilers, of course, is the success of the Southern Reach Trilogy making you consider more books, or is it Over when it’s Over? 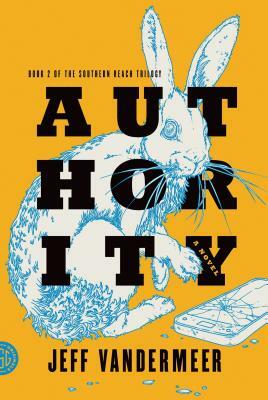 JV: There’s a kind of fascinating thirty-year period where the Southern Reach secret agency is trying to figure out what’s going on in Area X during which there’s a ridiculously rich history of double-crosses, factions working against each other, and spy stuff that I could definitely see writing more stories or even possibly a novel about. I cannot see a novel that would occur after the events set out in Acceptance, the third book. And, quite frankly, I think anything else would probably take a different form: film or graphic novel. I feel the same way about the Ambergris novels—I’m done with them in fiction form, except for possibly some short stories or novellas if they naturally occur. But nothing really occurs to me right now, and I just can’t force that kind of thing. I think it devalues the original books to try to do so. ML: You invest a lot of your energy into teaching, specifically Shared Worlds, the science fiction camp you are partially responsible for that takes place this July. What do you as a writer get out of teaching, whether they’re children or adults? JV: I learn a lot from the students and seeing how differently each writer sees the world and their writing. I also hone and sharpen my skills in looking at my own fiction by analyzing fiction by other people. There’s also a deep sense of needing to pay back the many kindnesses offered up to me during my career. With the teenagers, I feel a really pervasive need to be of use to them and to offer a place where they can be creative and feel free to be creative and to find others who feel the same way. With teens, sometimes finding out you’re not alone is the most important thing. I didn’t realize how different it would be teaching teenagers when I started out. When a kid comes up to you at 13 and hands you a short story and says, “This is the first story I ever wrote”…I don’t even know how to describe the feeling that creates because it’s so complex. All I can say is that it makes me go all-in every year. ML: Anything I have forgotten, or anything you wish I had asked? JV: Not really. Just a note that I will be giving away FSG shot glasses and a copy of Acceptance, not out until Sept. 2, at the Raleigh-Durham reading…and doing it by throwing a rabbit into the audience. And I’ll give some sneak peeks at the third book in addition to reading from Authority. I’ll also share some candid anecdotes behind some of the real-world stuff in Authority. About the interviewer: Mur Lafferty, winner of the John W. Campbell Award for Best New Writer at last year’s WorldCon, is an author, podcaster, and editor. She lives in Durham, NC, with her husband and daughter. Her first professionally published novel, The Shambling Guide to New York City, is a nominee for the inaugural Manly Wade Wellman Award; a follow-on novel, Ghost Train to New Orleans, was published in March by Orbit. 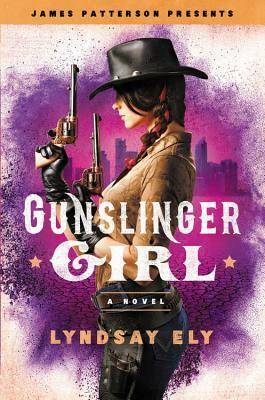 She will be at the Cary Barnes & Noble on Tuesday, July 29, for a reading and signing at 7 pm. This entry was posted in Coming to Town and tagged jeff vandermeer, mur lafferty, quail ridge books. Bookmark the permalink.